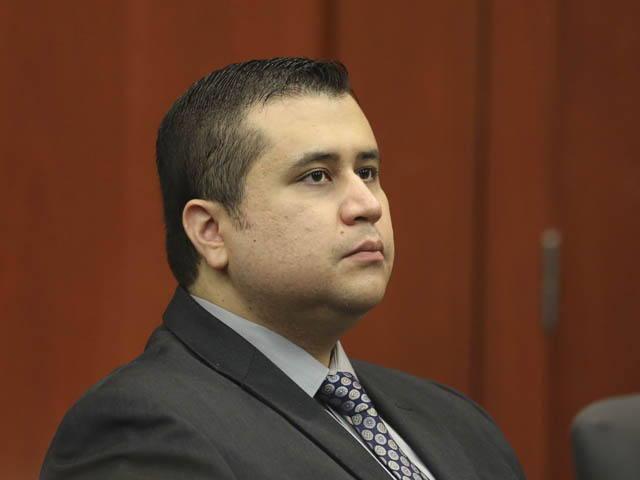 (CBS) SANFORD, Fla. -- Accused murderer George Zimmerman has told a Central Florida judge he will not testify in his own defense. Zimmerman told Circuit Judge Debra Nelson he would not testify after a short recess during which he consulted with his defense team. Wednesday afternoon, the judge denied a motion for acquittal, saying the case has enough evidence to go to the jury. The defense then formally rested their case after nearly three days of testimony. Also on Wednesday afternoon, Zimmerman's father, Robert Zimmerman, Sr., testified that he believes the voice screaming in the background of a 911 call is his son. Robert Zimmerman took the stand for the defense. He said that he first heard the tape in the state's attorney's office, where he listened to it on a computer with headphones. "I told them absolutely, it's my son, George," Robert Zimmerman Jr., said. George Zimmerman is standing trial in the shooting death of Florida teen Trayvon Martin. Who is screaming in the background of the 911 call placed by a neighbor has been a key point of contention in the case because it could provide clues as to who was the aggressor in the fatal Feb. 26, 2012 altercation. George Zimmerman claims he shot the teen in self-defense. The defense called numerous witnesses who have testified they believe the voice belongs to George Zimmerman. Also taking the stand Wednesday was Olivia Bertalan, a former neighbor of George Zimmerman's who described being the victim of a home invasion. Zimmerman has said he started a neighborhood watch program in his community following a series of break-ins in the community. Bertalan described hiding in her son's bedroom as she said teens broke into her home. "I was locked in my son's bedroom. He was shaking the doorknob, trying to get in. I was sitting there with a pair of rusty scissors with my son in my arms." Wednesday afternoon, the state called Adam Pollock, the owner of a gym where Zimmerman trained, as a rebuttal witness.